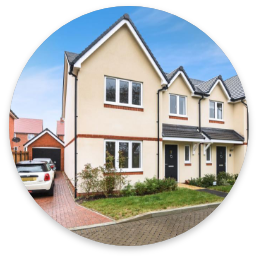 New build houses & apartments for sale in Sussex, Surrey and Hampshire. Harbour Reach Help to Buy Explained! You could purchase Plot 30 - the last two bedroom home with just a 5% deposit! Find out more today 01243 521 833! Amlets Place, Cranleigh - Ask about April Incentives ! Only 2 Homes Remaining at Austen Gardens! Lyndhurst Place, Chichester - NOW SELLING ! Brookfields, Pulborough - COMING SOON ! Skylark by Bargate Homes in Boxgrove is now taking off-plan reservations. Call today to find out more about this exclusive development! Architect designed, beautifully equipped and constructed to the... latest environmental and building standards. A new home is a fresh start with none of the previous owner’s dodgy DIY to worry about. The New Homes market is competitive so house builders price their homes competitively. New Homes are built to the latest environmental standards, so they're greener and cheaper to run. Buying a new home means less chain, less worry and less to go wrong. Help to Buy is a government-backed scheme which could help you get on or up the property ladder with just a 5% deposit. It’s the perfect solution if you struggle to save. Help to Buy is a government-backed scheme which could help you get on or up the property ladder with just a 5% deposit. With part exchange, when you buy a new home the developer buys yours - they become your guaranteed cash buyer. It means you can reserve your home quickly, move in as soon as it’s ready and save the time, stress and estate agent’s fees usually associated with moving. With part exchange, when you buy a new home the developer buys yours - they become your guaranteed cash buyer. Seen and set your heart on a new home but are worried about being able to sell your old one? Don’t worry – some developers offer a scheme called Assisted Move to help you. Seen and set your heart on a new home but are worried about being able to sell your old one? Whether you’re looking to buy a new home or you are a developer looking to sell your new homes, you’re in the right place. Henry Adams has been at the forefront of new homes marketing in the South since 1990. On average, we currently sell over 400 new homes a year to motivated buyers, throughout Sussex, Surrey & Hampshire. Simply New Homes is based on the firm foundations of our experience, expertise and dedication to the new homes marketplace, is our innovative and complete online resource to connect new home buyers with new homes builders. 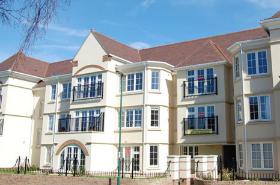 We work with a large range of developers across Sussex, Surrey & Hampshire. Here’s the portal that’s dedicated to successfully marketing and selling your new homes… so you can focus on building them. Whether you’re new to investing in property and would like a buy-to-let to provide a nest egg into retirement or want to build a property portfolio, we can help you. 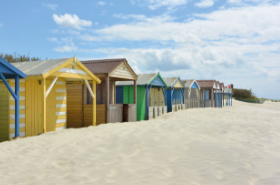 Our region has so much to offer - historical towns like Chichester and Haslemere, lively seaside locations such as Bognor and the Witterings - and the picturesque villages of the sweeping South Downs, there is a place for everyone.